All Day Yoga Tote - 10.5x22.4x5? CLOSEOUTS. 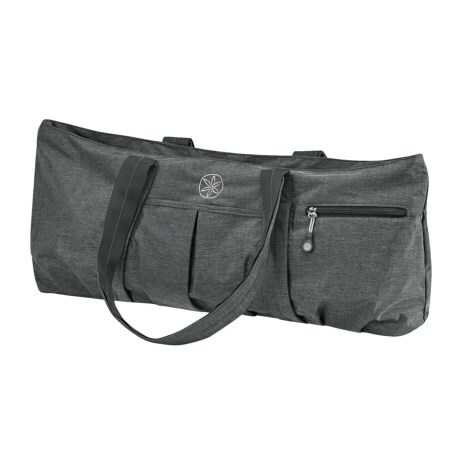 Fit your mat, plus all your gear, in this Gaiam All Day yoga tote, featuring a large main compartment, inner and outer zip pockets for smaller essentials, and a handy yoga mat front sleeve. Available Colors: GREY.